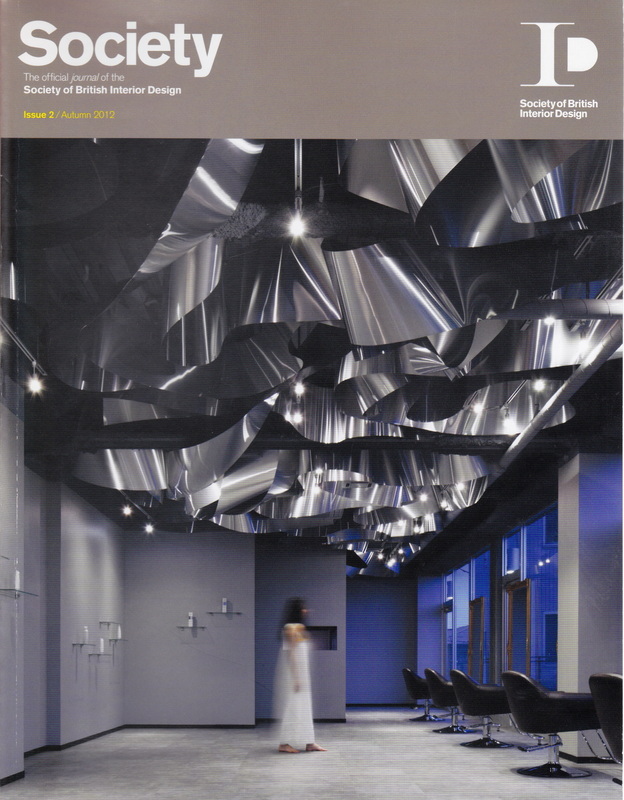 Recent Editorial work for both print and online magazines where Jennifer Mehditash is asked to contribute. 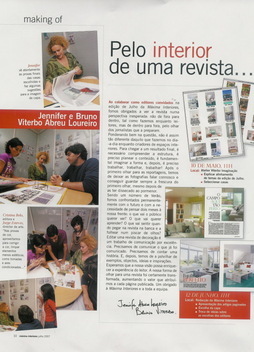 In the WINTER 2015 Issue of California Home & Design Magazine - Awards Issue, Jennifer Mehditash covered both award winners, Geoffrey de Sousa and AIRBnB as well an in depth feature on Kravet for the Design Matters feature. 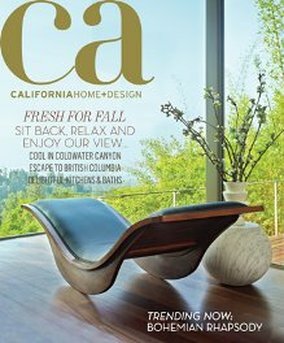 In the FALL 2014 Issue of California Home & Design Magazine, Jennifer Mehditash covered interior designer Michael Berman's home in Palm Springs with a 4 page spread. 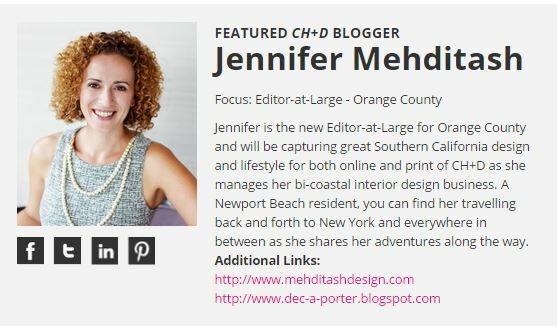 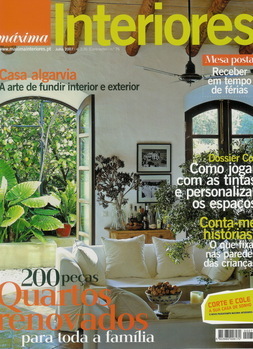 As a contributing editor for California Home & Design, Jennifer Mehditash covers the latest interior designers and their work, events, Book & Product Reviews and much more. 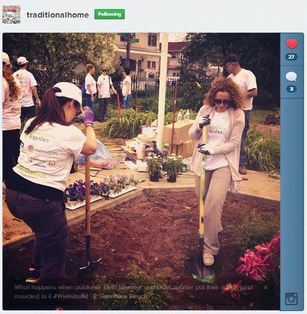 Visit the features Jennifer has covered and discover more here. 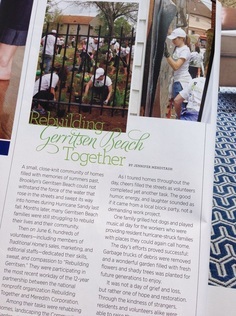 At the invitation of Traditonal Home magazine, and the Meredith Group, Jennifer took part in the Volunteer Day to help the Rebuild Gerritsen Beach's Community Garden from the severe damage suffered from Hurricane Sandy in the summer of 2013. 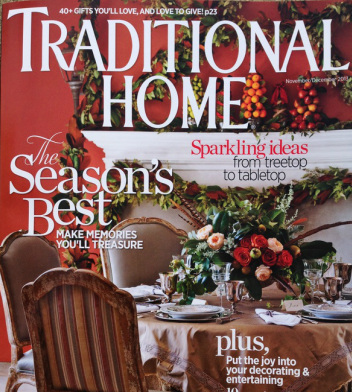 Jennifer shares her experience with a byline in the Holiday issue of the magazine, covering all of the days events. 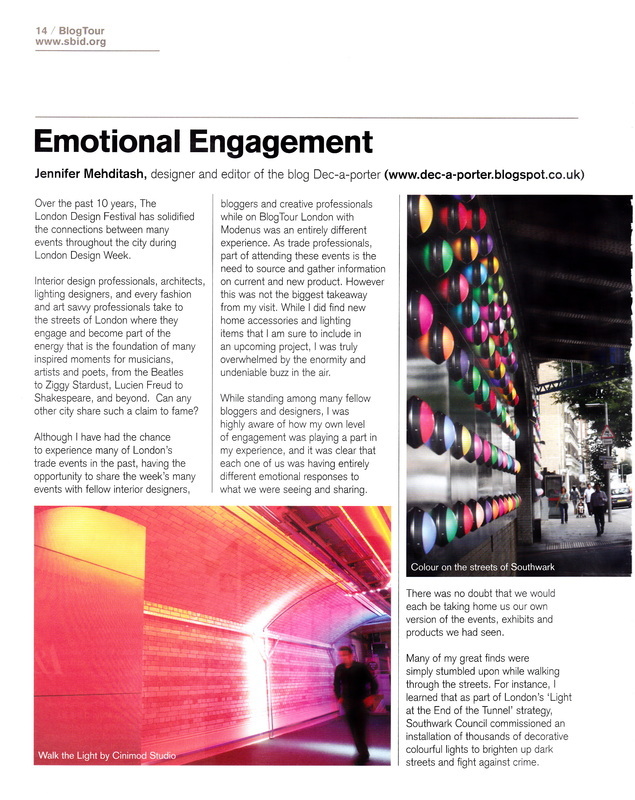 Jennifer Mehditash was invited to share her reflections from London Design week with Society of British Interior Designers, highlighting the Emotional Engagement and the lighting design found throughout her tour with BlogTour London and Modenus.